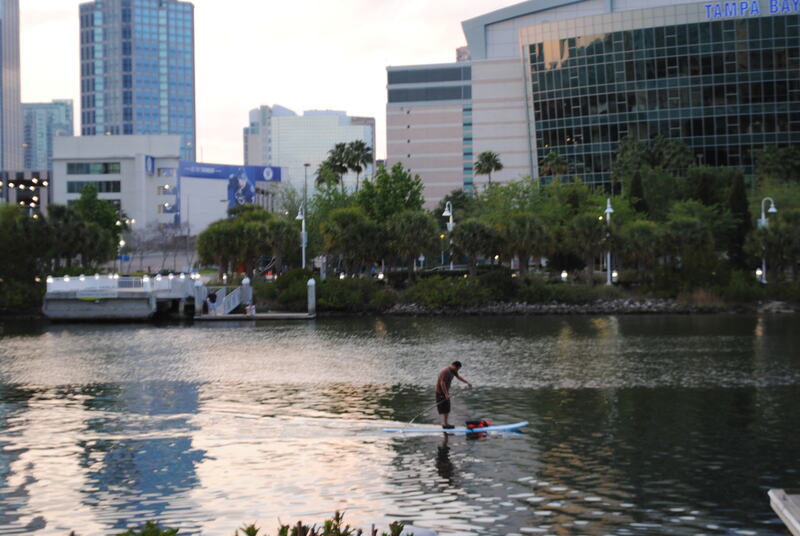 When the Husband and I first moved to Tampa we lived in one of the high rise buildings downtown. 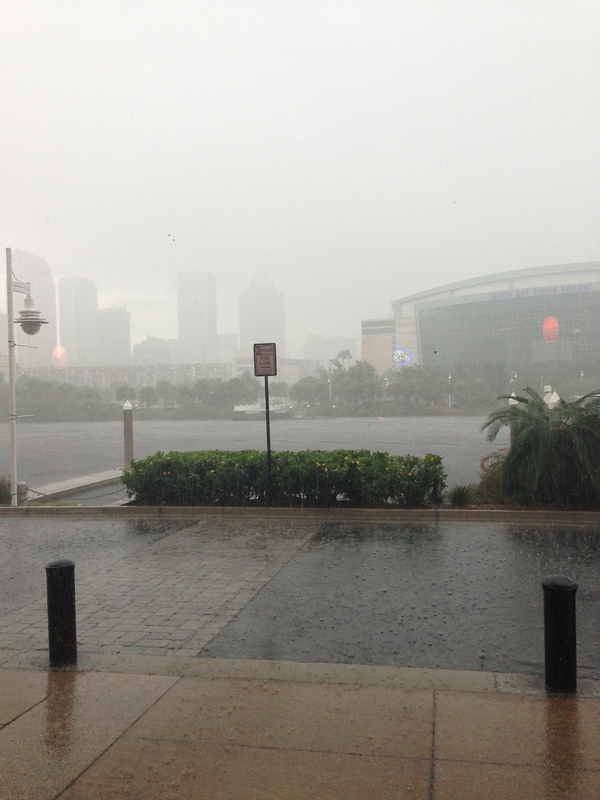 It was sort of a compromise for leaving NYC to move to Tampa. Not too long after moving in I got a little South Tampa magazine in my mail and saw an ad for a little pizza place, Pizza Pazza, down the street on Harbour Island, with a gorgeous view of the Hillsborough River and downtown Tampa and located in the back corner of the Italian restaurant That’s Amore. I love the way it looks in the rain. Pretty right before sunset too. No, it’s not NY pizza. It’s not supposed to be, nor do they claim to be. 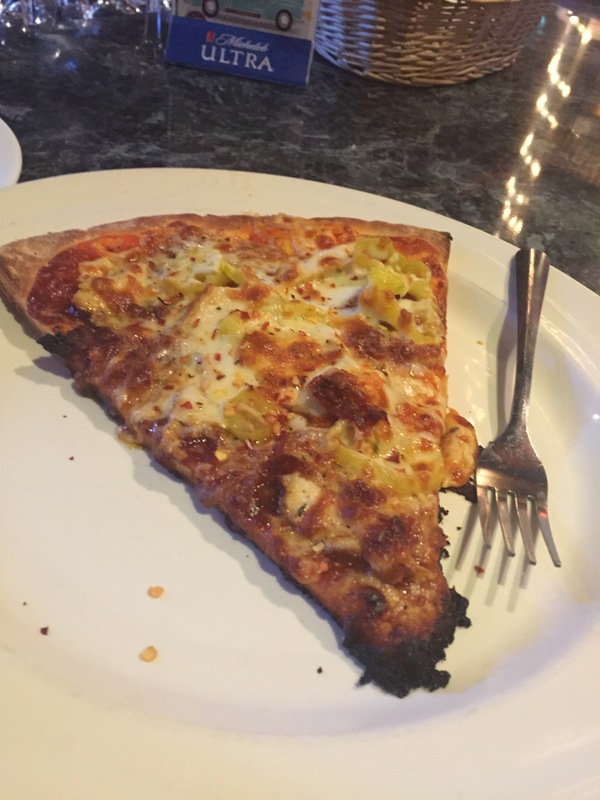 It’s freshly made gourmet pizza that you can order by the slice or the pie, on regular, whole wheat, cracker thin, or even as a low carb pizza tapas. They also have appetizers such as cheesy bread, mozzarella sticks, and salads. If pizza isn’t your thing (which makes you a crazy weirdo) they also have delicious subs. 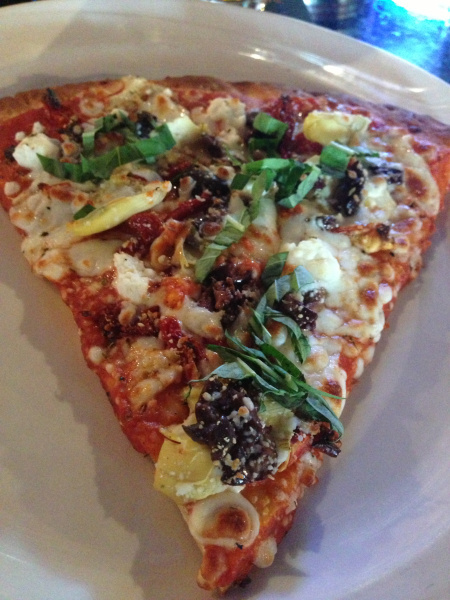 One of my favorite slices, the Mediterranean pizza. The Husband’s favorite, the Isaac (well, that’s what he calls it anyway LOL). Spicy BBQ sauce with chicken and banana peppers. 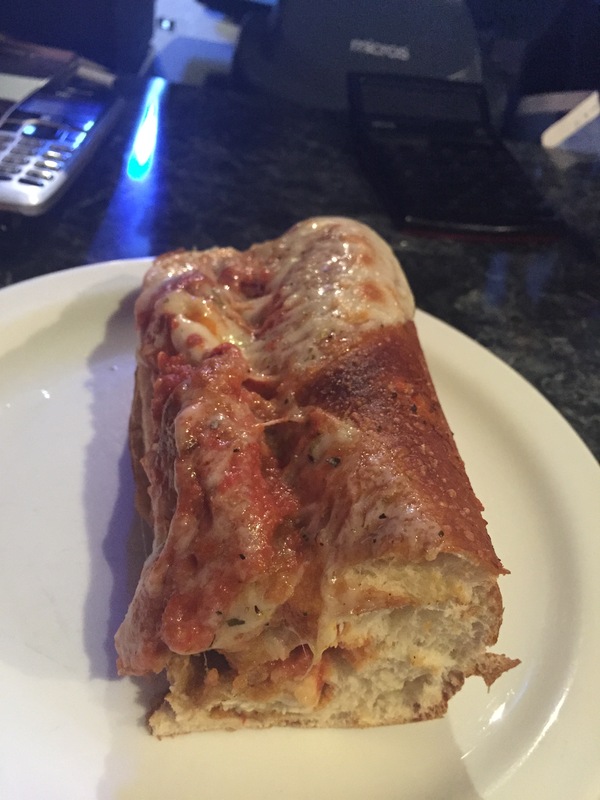 Half of a chicken parm sub! So good and so filling. A whole one is perfect for sharing. The only thing better than the food is how nice the owners and staff are. You really feel like family when you go there and it’s such a nice, inviting atmosphere. They also have a good selection of draft beer and wine. Make sure to play the Shake a Day game, where for 50 cents, you can roll the dice to win free beer, pizza, or the pot! Loved the background introduction and transition to food with pictures. And The Isaac looks pretty sumptuous. Thanks for your kind words! And the Isaac is so delicious!